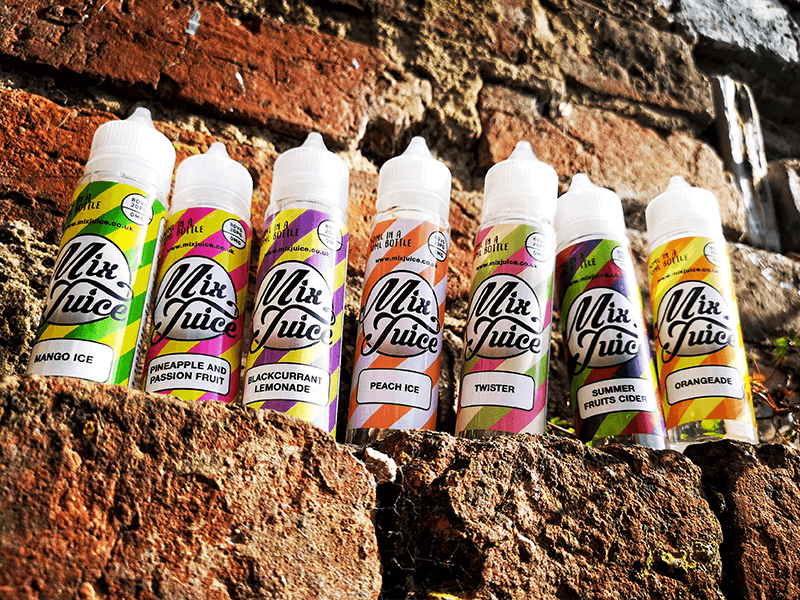 As you’re now aware, short fill e-liquid is sold nicotine free. 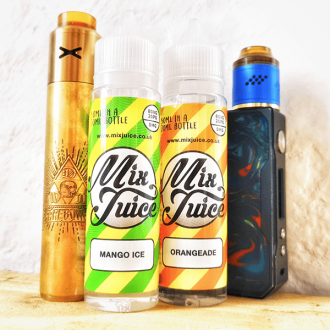 This is done so that larger bottles of e-liquid can be sold legally. 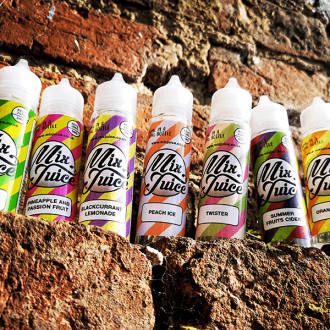 However, you can purchase your short fills with additional bottles of Nic Shot, which you then add to the bottle of Mix Juice to create your desired nicotine strength. Our Nic Shots use only pharmaceutical grade ingredients and are mixed to a ratio of 75/25 VG/PG. 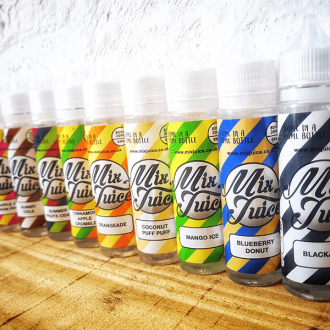 Mix Juice is sold as 50ml in a 70ml bottle. This allows you to add up to 6mg of Nicotine (20ml) creating yourself a potential 70ml of e liquid. Step 1: Remove the bottle tops off the Short Fill E-Liquid bottle and the Nicshot bottle(s). Then using a pair of pliers (or a strong grip) carefully remove the nibs from the E-Liquid and Nicshot bottles. 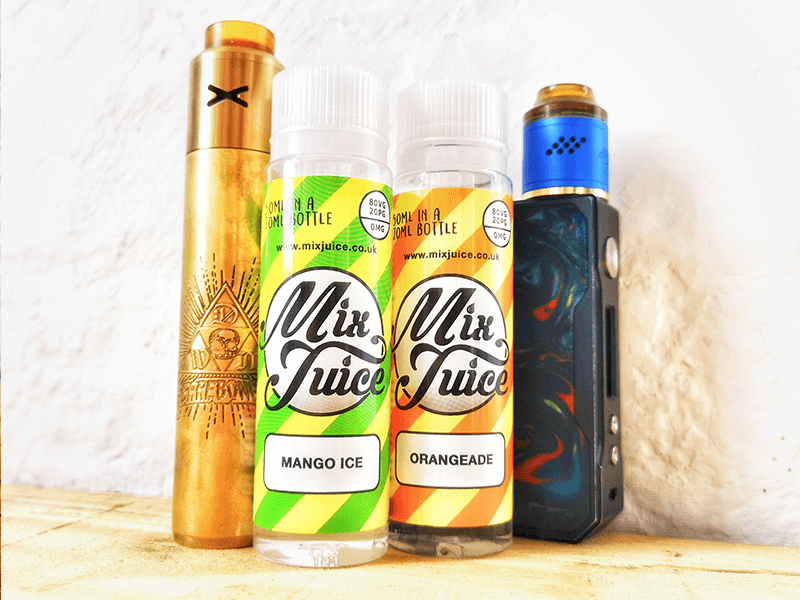 Step 2: Pour the contents of 1 bottle of Nicshot into your Mix Juice E-liquid short fill for an Eliquid with 3mg of Nicotine or 2 bottles for an Eliquid with 6 mg of Nicotine. Once done throw the Nicshot bottle in the recycling as you won’t be needing them again. Remember! Nicotine can be absorbed through the skin so be careful not to get the Nicshot on your skin when doing this stage. If you do, just ensure you rinse the Nicshot liquid off. Step 3: Firmly re-attach the nib on to the Mix Juice short fill E-Liquid bottle and screw the bottle top back on. Once the short fill bottle is sealed back up, vigorously shake the liquid until it is full mixed. You will see lots of small air bubbles in the E-liquid. This is normal and means you have mixed it well. Step 4: For best results it is recommended that you allow the Mix Juice E-liquid to steep (in a warm, not hot room) for 48 hours. 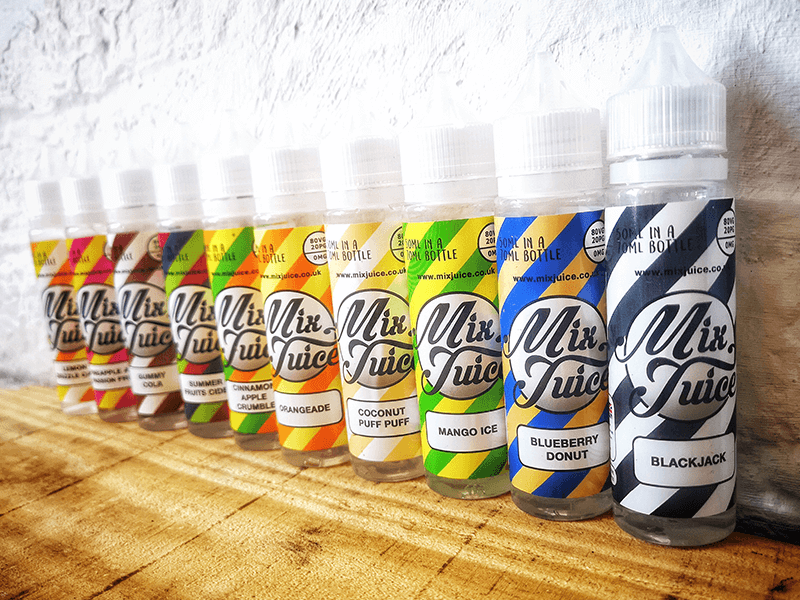 You can vape the E-liquid straight away after mixing but the flavour may not be fully developed, leaving it for 48 hours ensures that the E-liquid will have that big Mix Juice flavour. Then all that is left is to enjoy the massive flavour and huge clouds! I will let you know how I get on with them.